When jewelry is refinished at Diamonds Forever it is made to look like a brand new piece. We polish the ring so all scratches are buffed out and the item is restored to its original shine or finish. We then inspect the piece by checking that all the stones are tight and securely set. White gold pieces need a few additional steps to be restored to their gleaming original shine. This is because white gold is actually yellow when it is found from the earth. It is only through refining that white gold is given its color. 14K white gold is 58% pure gold which is very yellow. The white color is given by the alloys or the non-gold parts that are mixed into the 14K mixture. Gold is alloyed to give the material both color and durability. This process generally still leaves white gold with a slight yellow hue when polished, so to give the piece a truer white the pieces are finally rhodium plated. Rhodium is a member of the platinum family of metals and is very rare and precious. Rhodium is what gives a finished piece of jewelry its bright cobalt white color. Over time you may experience that your white gold rings begin to yellow at the bottom or in places that get bumped and get wear. This is actually the rhodium plating wearing off and revealing the actual color of the metal, as white gold naturally has a slight yellowish hue. Not to worry the piece can be re-polished and the rhodium can be electromagnetically applied to the piece of jewelry. How often does a white gold ring need to be replated? After 6-12 months a ring may begin showing signs of wear, this is largely based on use and life style. It is actually preference that would dictate when the ring needs to be rhodium plated again. I will say though that I highly recommend having the ring polished and rhodium plated every two years. It may not look “bad” to you because the change happened gradually but the gleam will be significant and stunning when you have it brought back to its original shine. 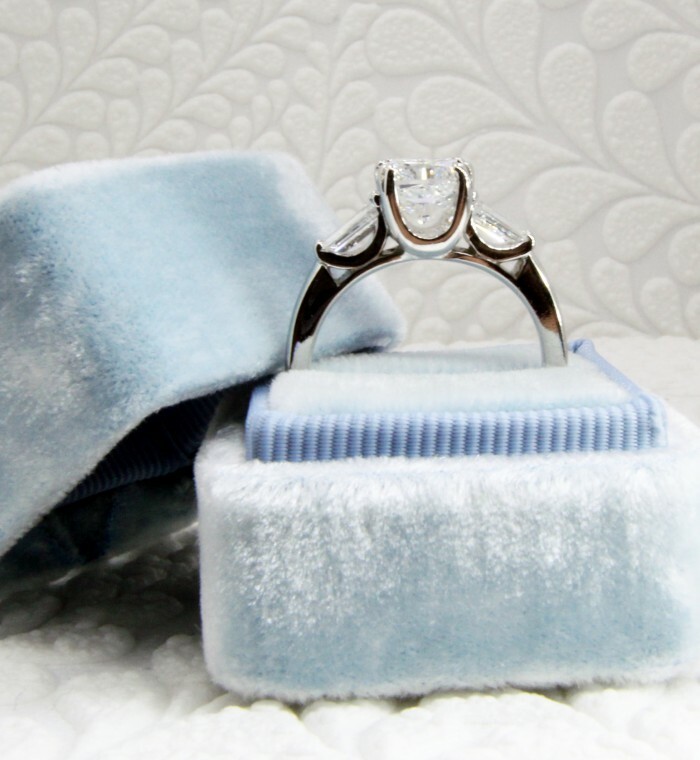 If you have any questions about polishing or you would like to have your ring shined up please stop in today. My name is Jenny and I am here to answer all your questions and to polish and rhodium plate your jewelry! !